MITCH Pinnock struck late to hand Whites a valuable three points against a determined Guiseley side at a wet and windy Crabble on Saturday. 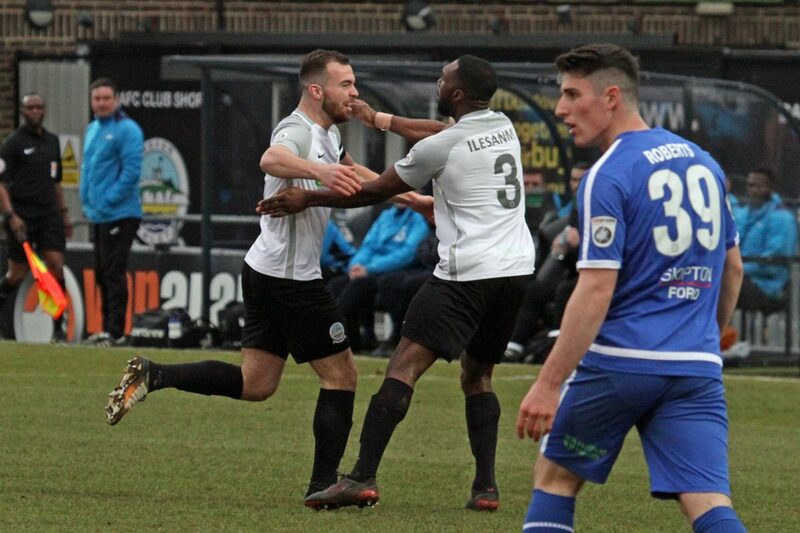 The midfielder collected Femi Ilesamni’s pass and after cutting inside Jack Sheppard, fired through the body of visiting keeper Luke Coddington as Chris Kinnear’s side registered back-to-back league victories for the first time since September. Captain Mitch Brundle had given his side an early lead with a scorching 30-yard effort, but Dayle Southwell levelled midway through the second half in equally stunning fashion from a free-kick. Dover almost made the ideal start as Pinnock crashed an effort onto the bar with the match barely five minutes old. But Brundle was able to better his teammates’ effort, driving a 30-yard scorcher into the top corner after Anthony Jeffrey played the ball into the skipper’s path. Ryan Bird thought he had doubled the lead after burying Brundle’s cross, but the linesman’s flag denied the forward his thirteenth National League goal of the campaign. And Athletic’s top scorer went close again moments later, this time heading Jeffrey’s cross narrowly wide. 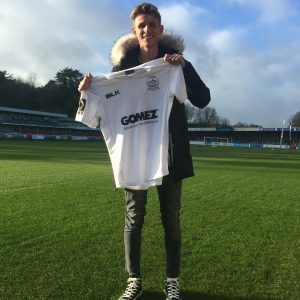 Whites were almost made to pay for their missed chances as new Lions recruit Harry Flowers nodded over Callum McFadzean’s corner. The former Burnley defender then blazed wide of a static Mitch Walker moments after his previous chance. Giancarlo Gallifuoco nodded off target from Pinnock’s corner as the home side searched for a second goal and Walker was called into action twice in succession at the other end, firstly tipping away McFadzean’s low drive and then producing a similar save to deny James Roberts. Brundle almost had his first brace of the season, flashing Bird’s pass just past the post after the restart. Walker punched away Roberts’ ferocious drive as the visitors seeked to end a run of three defeats on the spin away from home. And it looked like one of Guiseley’s recent new signings had rescued a precious point for Paul Cox’s strugglers shortly after an hour. 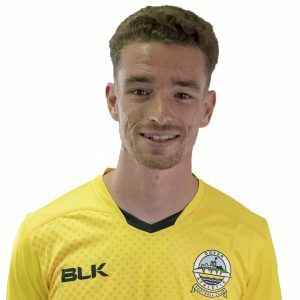 Dayle Southwell, signed from Wycombe earlier in the week, curled a sumptious 20-yard free-kick past an onlooking Walker. Cheers from the 2327 strong crowd, in attendance for the club’s third Community Day of the season, were short-lived after the linesman ruled out Pinnock’s curling shot after Bird had allegedly strayed offside. And midfielder Pinnock almost made the controversial decision irrelevant as he blasted a set-piece past the wrong side of Northampton loanee Coddington’s post. But the midfielder finally got his just rewards two minutes from time and Femi Ilesanmi almost wrapped up the points in injury time, but he was he was unable to find the finish needed following a lung-busting run from his own half. Earlier, Kinnear kept with the same side that started away at Boreham Wood last weekend. The win sees Whites move up one place to sixth in the table, five points off current leaders Macclesfield Town. Dover next host Leyton Orient in the Buildbase FA Trophy on Saturday 3rd February. Kick off 3pm. Dover: Walker, Gallifuoco, Essam, Parry, Passley, Nortey (Bellamy 78), Pinnock (Okosieme 90), Brundle (c), Ilesanmi, Bird, Jeffrey (Daniel 79). Subs not used: Richards, Fazakerley. Guiseley: Coddington, Sheppard, Flowers, St Ledger, Crookes, McFadzean, Lenighan, Harvey (c), Southwell, Odejayi (Fondop-Talom 62), Roberts (Liburd 88). Subs not used: Palmer, Purver, Haworth.